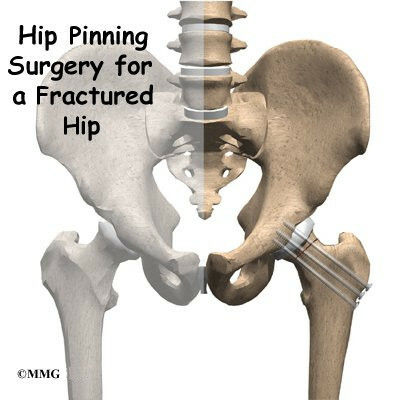 A fractured hip can be a life-threatening problem. 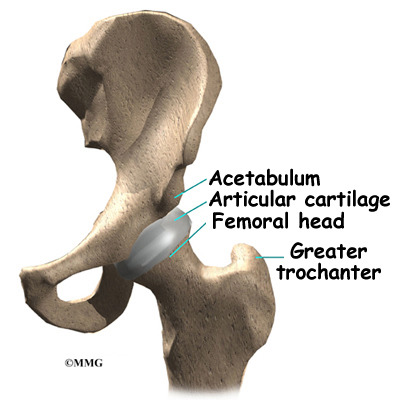 The hip fracture isn't usually a difficult problem to treat with surgery. But once the fracture occurs, it brings with it all the potential medical complications that can arise when aging adults are confined to bed. The goal of treatment is to get patients moving as quickly as possible after surgery. 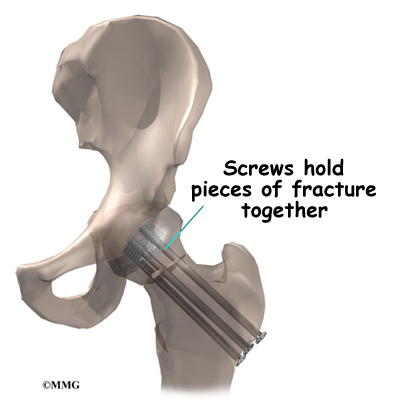 Surgery to pin the broken ends of the fracture together is fairly simple and allows patients to get up and begin moving shortly after surgery. The operation can be done using either a general anesthetic (one that puts you to sleep) or a spinal block. The spinal block puts your body to sleep from the waist down. With a spinal block, the anesthesiologist will also give you medications so that you won't be aware the operation is being done. A physical therapist will direct your recovery after surgery. You'll be encouraged to move from your hospital bed to a chair several times the first day after surgery. You'll be encouraged to begin getting up and walking with your crutches or walker but may need to keep from placing too much weight on your foot while you stand or walk. You'll be safe to go home when you can get up and move about safely with your walker or crutches, you are able to do your exercises, and your caregiver has made all the needed preparations for you to go home. The therapist's goal is to help you maximize hip range of motion and strength, restore a normal walking pattern, and do your activities without risking further injury to the hip. When you are well under way, regular visits to the therapist's office will end. Your therapist will continue to be a resource, but you will be in charge of doing your exercises as part of an ongoing home program.